The University of Nottingham don’t mess about when it comes to snowsports, but what keeps new members flooding in year on year? We talk comps, sendy punch and pyro parties with new committee member Piers. The club competed successfully across a plethora of competitions this year including BUDS, BUISC and all of the Kings rounds and the finals where our new Vice President, Chris Marment, took second place. What is really pleasing to see is the increasing number of women competing in the club, something that has translated into competition success throughout the year. Moreover, the influx of freshers in competing teams was also a good result for the club and we look forward to bringing on more talent this season. The club does have a few traditions including our annual opening social for freshers where we practise the ancient rituals of ‘golf-balling’ and ‘long-arming’. However, one of the more club specific ones is consistently listening to Hall and Oates ‘You Make My Dreams Comes True’ everyday of the ski trip. More epic ski songs include ‘Were going to Ibiza’, ‘Boom Boom Boom’ and ‘We Like to Party’ by none other than Vengaboys (Caution: these songs must be consumed with some of the famous UoN Snowsports super sendy punch). The highlight of last season has to be our Easter trip. The main reason for this was because the scale of people we had made it the largest ever trip, so ensuring it remained sendy was a key priority. However, we needn’t have worried as you will see from our edit as well as the Line-S rail jam edit. If I were to pick one moment from that crazy week, it would definitely be the closing party. For the last few years UoN Snowsports have arranged for Nottingham’s biggest student night, Crisis, to come out to the trip. They host a closing party on the snow which gives trip-goers something recognisable from home as well as an epic festival vibe for the night. As you can see the club really did put the phrase ‘no pyro, no party’ to the test……..
Why should students join Nottingham snowsports club? We are not only the biggest club on campus but we are also one of the most diverse in terms of the competitions we attend and the socials we have. Moreover, being one of the larger societies means we hold some huge parties including events where we take over some of Nottingham’s most popular club nights for our trip launch parties. Conversely, UoN Snowsports isn’t all about the huge parties and socials. Although we are a big club, we have a committed and dedicated core group of members that are really welcoming and whom you will always find at socials or at our weekly sessions in the dome or on dry slope. 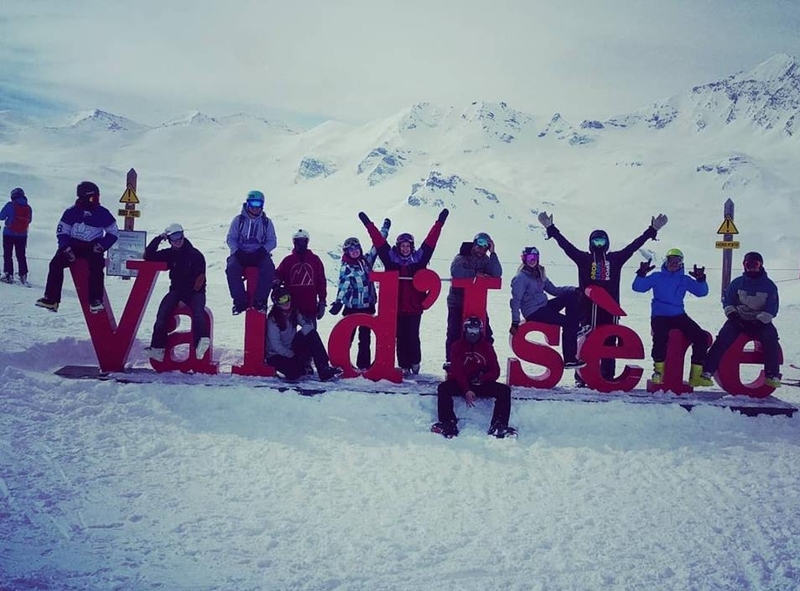 Ultimately, if you’re looking to ski or board, beginner or pro, and want to be part of an epic club that is well known, with a large group of members where you are sure to make friends, then we are for you. Come and speak to us at the freshers fayre or message the page. This season the club is really looking forward to building on the strong reputation the last committees have built; ensuring the club continues to grow, progress and have a good time throughout the year and on the trip. We are also really excited to work with sponsors such as Extra Joss and The Student High Street, ensuring we continue to send on the slopes and at home. Want more uni action? Find out about Salford Snow’s claims to fame here.